-Mike straight silhouette with side seams, sleeveless. -The neck and shoulders are processed inla..
-Sweatshirt direct silhouette with side seams, sleeves. -The neck and shoulders are processed inl..
&-Elastic knit p / w belt, collar and cuffs &-The clasp on the "zipper" &-Warm, lightweight, d..
Linen is made from high quality knitted polyester fabric. Benefits Bi-component polyester fibe.. The pants of high quality knitted polyester fabric with double gusset-codpiece. 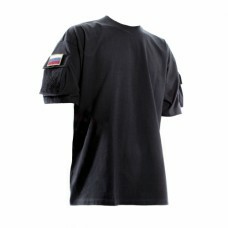 Benefits Bi-co..
T-shirt made of high quality knitted polyester fabric is an elongated back. Benefits Bi-compon.. Warm socks. The heel portion and toes reinforced through polyamide textured yarn. Benefits - T..
Special deep pockets allow them to transfer the documents and additional stores of weapons. Locat..